Central limit theorem « Peeter Joot's (OLD) Blog. where was something like number of Heads minus number of Tails. Regardless of whether we have a steady state system, if we sit on a region of phase space volume, the probability density in that neighbourhood will be constant. 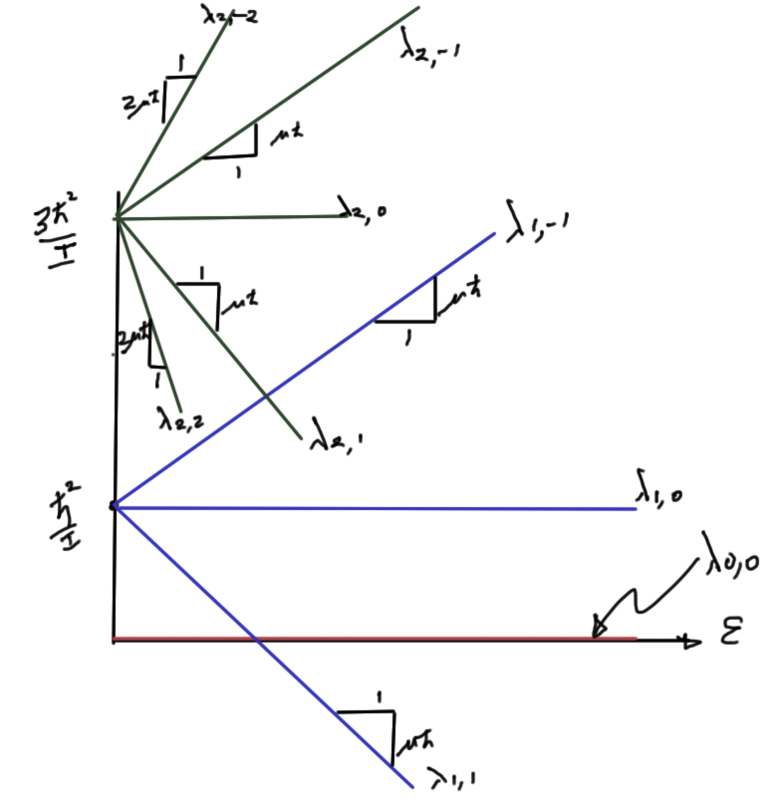 A system for which all accessible phase space is swept out by the trajectories. This and Liouville’s threorm allows us to assume that we can treat any given small phase space volume as if it is equally probable to the same time evolved phase space region, and switch to ensemble averaging instead of time averaging. Example (work on gas): . Adiabatic: . Cyclic: . This is an ungraded set of answers to the problems posed. Consider a toy model of a polymer in one dimension which is made of steps (amino acids) of unit length, going left or right like a random walk. Let one end of this polymer be at the origin and the other end be at a point (viz. the rms size of the polymer) , so . We have previously calculated the number of configurations corresponding to this condition (approximate the binomial distribution by a Gaussian). Using this, find the entropy of this polymer as . The free energy of this polymer, even in the absence of any other interactions, thus has an entropic contribution, . If we stretch this polymer, we expect to have fewer available configurations, and thus a smaller entropy and a higher free energy. Find the change in free energy of this polymer if we stretch this polymer from its end being at to a larger distance . I found the statement and subsequent correction of the problem statement somewhat confusing. To figure this all out, I thought it was reasonable to step back and relate free energy to the entropic force explicitly. Consider a set of independent classical harmonic oscillators, each having a frequency . Using this, derive the mean energy and the specific heat at temperature . For quantum oscillators, the partition function of each oscillator is simply where are the (discrete) energy levels given by , with . Hence, find the canonical partition function for independent distinguishable quantum oscillators, and find the mean energy and specific heat at temperature . 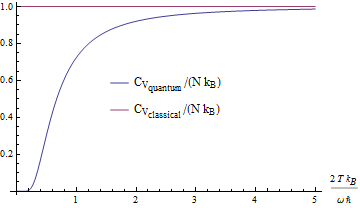 Show that the quantum results go over into the classical results at high temperature , and comment on why this makes sense. Also find the low temperature behavior of the specific heat in both classical and quantum cases when . This time we don’t add the correction factor, nor the indistinguishability correction factor. This is plotted in fig. 1.1. 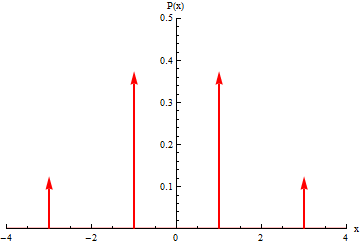 This differs from the classical partition function only by this factor of . While this alters the free energy by , it doesn’t change the mean energy since . At high temperatures the mean energy are large enough that the quantum nature of the system has no significant effect. We also see this in the plot of fig. 1.2. 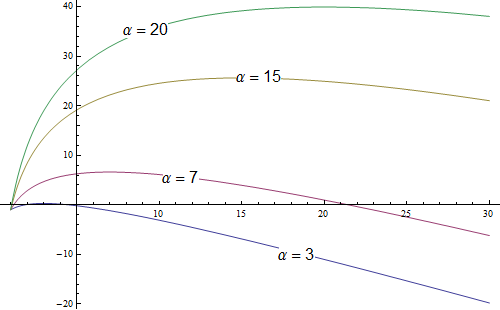 Schematically sketch these eigenvalues as a function of for . Find the quantum partition function, assuming only and contribute to the sum. Using this partition function, find the average dipole moment as a function of the electric field and temperature for small electric fields, commenting on its behavior at very high temperature and very low temperature. Estimate the temperature above which discarding higher angular momentum states, with , is not a good approximation. Let’s summarize the values of the energy eigenvalues for before attempting to plot them. 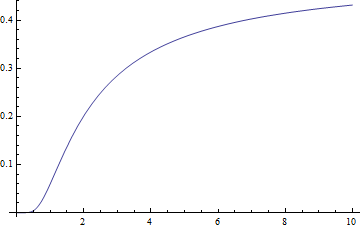 These are sketched as a function of in fig. 1.3. This is plotted in fig. 1.4. Our dipole moment tends to zero approximately inversely proportional to temperature. These last two respective approximations are plotted along with the all temperature range result in fig. 1.5. Provided the electric field is small enough (which means here that ) this will look something like fig. 1.6. 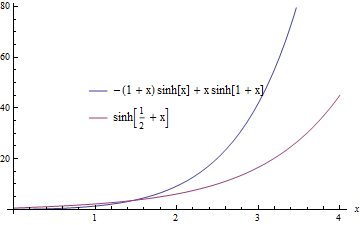 The hyperbolic sine in the denominator from the partition function and the difference of hyperbolic sines in the numerator both grow fast. This is illustrated in fig. 1.7. Our midterm had a question asking what the central limit theorem said about a product of random variables. Say, , where the random variables had mean and variance and respectively. My answer was to state that the Central limit theorem didn’t apply since it was for a sum of independent and identical random variables. I also stated the theorem and said what it said of such summed random variables. We need all the higher order moments of (or equivalently all the moments of ), and can’t just assume that . 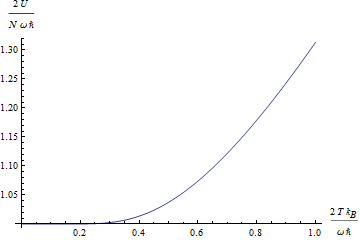 Given that, we can say that the random variable , is the exponential of random variable with the distribution given approximately (for large ) by 1.0.6. It will be interesting to see if this is the answer that we were asked to state. I’m guessing not. If it was, then a lot more cleverness than I had was expected. derive the Gaussian distribution which results when and . We’ll work with the logarithms of . Consider the more general case of a binomial distribution where the probability of a head is and a tail is (a biased coin). With and , obtain the binomial distribution for obtaining a total of from coin tosses. 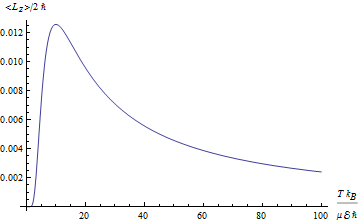 What is the limiting form of this distribution when and ? The latter condition simply means that I need to carry out any Taylor expansions in X about its mean value . 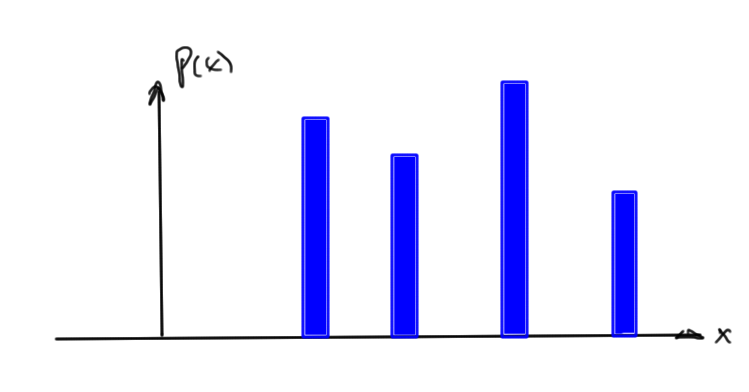 The mean can be easily computed first in terms of “r”. Let’s consider 1, 2, 3, and N tosses in sequence to understand the pattern. Here is the probability of the ordered sequence, but we are interested only in the probability of each specific value of . For there are ways of picking a heads, tails combination. Good, we’ve got a (two heads) term as desired. Observe that both this and 1.0.8 do not integrate to unity, but to . 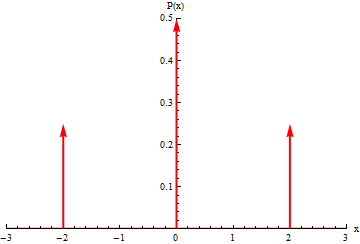 This is expected given the parity of the discrete random variable . 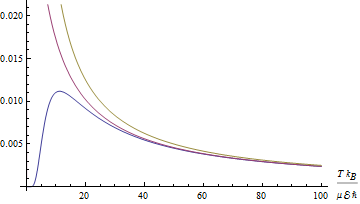 An integral normalization check is really only approximating the sum over integral values of our discrete random variable, and here we want to skip half of those values. Peter Young. 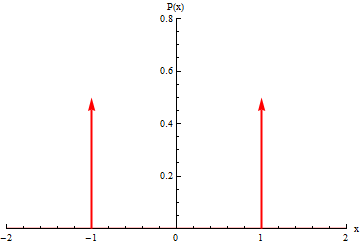 Proof of the central limit theorem in statistics, 2009. URL http://physics.ucsc.edu/ peter/116C/clt.pdf. [Online; accessed 13-Jan-2013]. 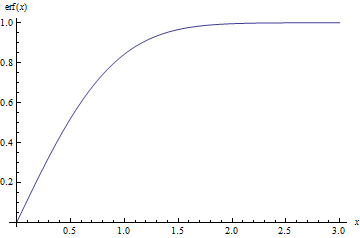 The discrete case is plotted roughly in fig 1. A continuous probability distribution may look like fig 2. If we ask the question about what the total number of heads minus the total number of tails (do we have excess heads, and by how much). To be proven in the notes not here. Our probability distribution may look like fig 3. How many ways can we find a specific event such as the number of ways we find heads and tail? We can enumerate these .